A total 18% of respondents noted they had not made the relevant decision yet, while another ten percent said they did not plan to participate in the voting at all. 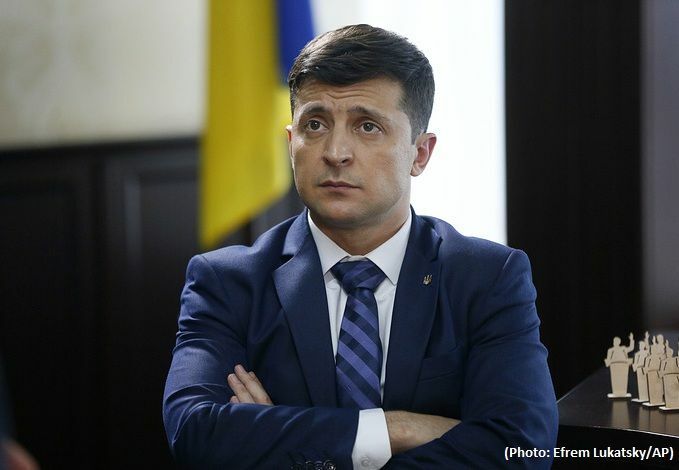 Over 50% of Ukrainian voters said they planned to cast their ballots in favor of leader the Servant of the People political party Vladimir Zelensky in the presidential runoff, shows a poll conducted by the Rating sociological group. "When asked who they will support in the second round of the Ukrainian presidential election, 51% of those surveyed named Zelensky and 21% said they would vote for Poroshenko," the pollster said in a statement. At the same time, 18% of respondents noted they had not made up their minds yet, while another ten percent said they did not plan to participate in the voting at all. "Among those who intend to take part in the voting, 61% support Zelensky and 24% plan to cast their ballots for Poroshenko. Another 15% haven’t made a final decision yet. Among those who plan to participate in the voting and have already made up their minds, 71% support Zelensky and 29% will vote for Poroshenko," the statement adds. The Ukrainian presidential election was held on March 31. Zelensky is in the lead with 30.24% of the vote, followed by incumbent President Pyotr Poroshenko, who garnered 15.95%.